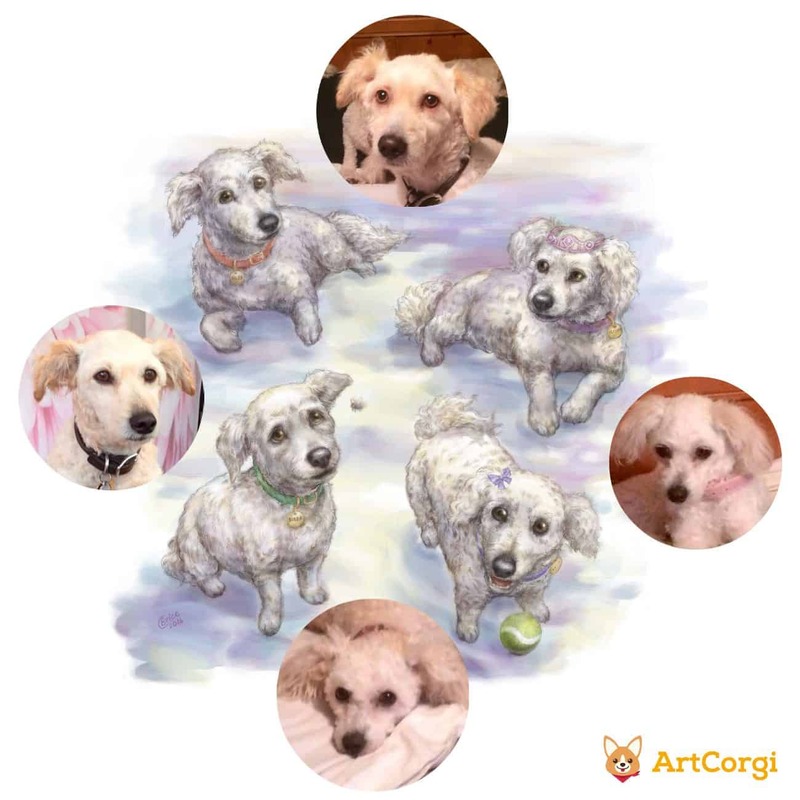 Our talented artists offer some of the most adorable and eye-catching custom dog portraits you’ll find online so keep your eyes peeled for them! And, if you want your own custom portrait done for your doggie by any of them, just head on over to their page to get yours! 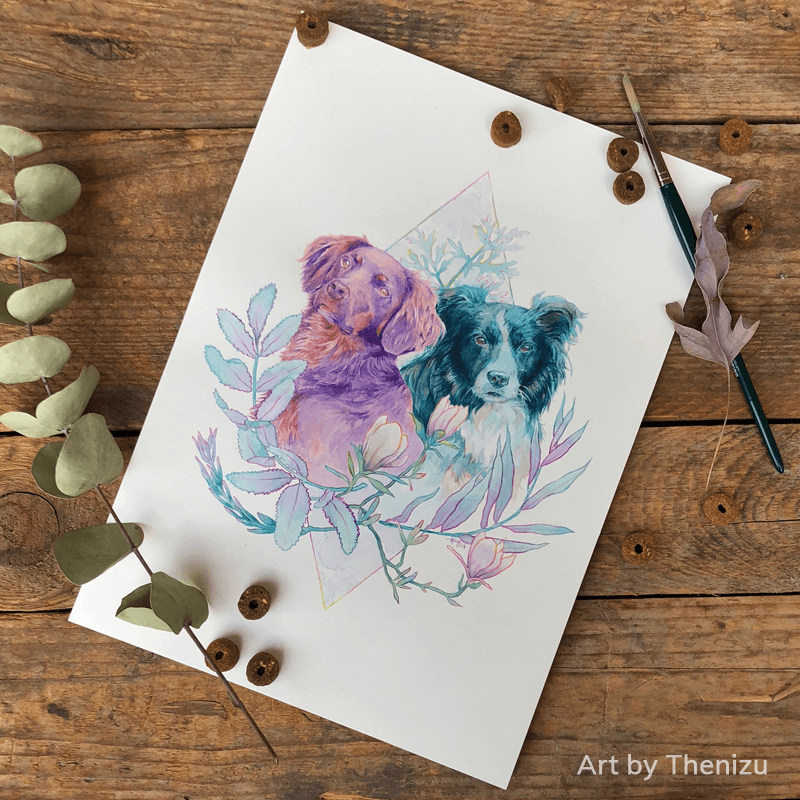 Thenizu’s hand painted dog portraits have to be one of my all time favorites. They’re realistic but with a special touch that I can’t quite describe. They’re polished, beauty in it’s purest state. A portrait like this is a testament to how much you cherish your dog. Elegant and designed with care, it’ll add a sophisticated yet exclusive touch to your home decor. The colors, composition and the dogs' expressions have been carefully polished to give them a majestic appearance that mesmerizes you with just a glance. If I could wave a magic wand and have a wish come true, it would be to paint pets as wickedly well as Aeryn does. Her artworks feature a high level of realism combined with an almost ethereal vibe that makes the pets portrayed look like they’re living beings rather than ​​just painted versions of themselves. 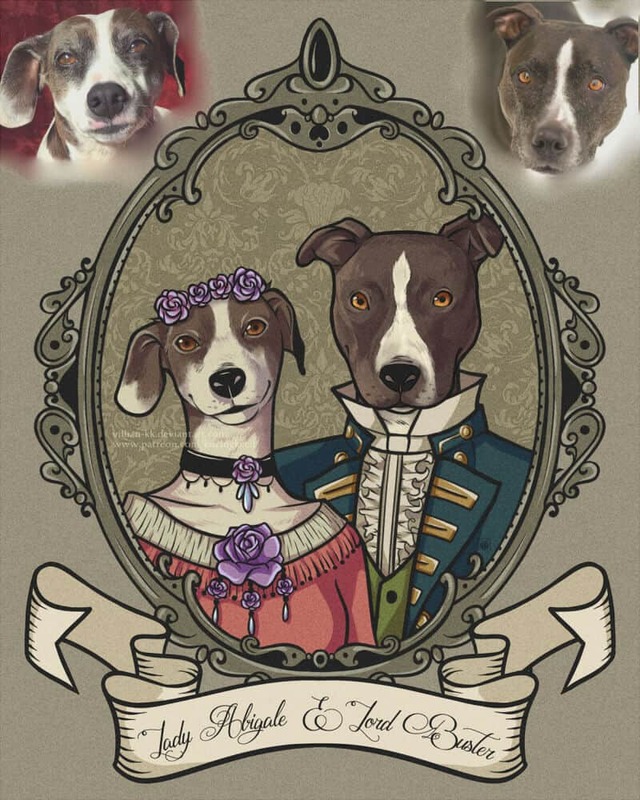 She masterfully captures the essence of the dogs (and other pets) she portrays creating an artwork that you’d proudly show to guests. Above the fireplace, where ​a masterpiece featuring your dog belongs. Feralkith’s dog portraits look so fluffy! The painting style enhances the cuteness of the portrayed dogs and gives you an uncontrollable urge to pet your pup! Go pet your dog now, don’t worry, we’ll wait! Back? Sweet! You can get your own dog portrait from Feralkit here! If you love dog portraits but want something a little less formal, this is for you! KucingKecil creates the most hilarious yet adorable dog portraits ever! She illustrates these portraits of your dogs wearing old clothes and posing as famous people from the past. A portrait of your dog in this style is bound to be the perfect ice breaker to keep your guests talking about it for hours! Plus, it’ll be an instant bad-mood killer! Impossible to stay upset with this your majesty King Spot formally looking at you from his vintage new home. Aeryn’s very talented at creating portraits of your pets that you can’t stop talking about and wondering how on earth she made something so beautiful. 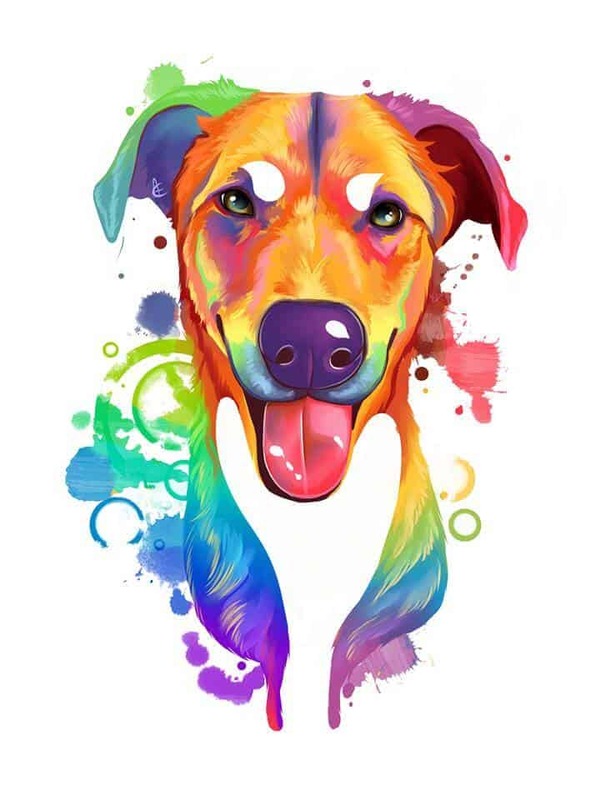 And you may never find the answer to that question but you can always hire her to paint a dazzling rainbow portrait of your dog that will make you feel better with just a glance. Those colors and your adorable pup joyfully smiling at you will brighten up your day for sure! Bloodyman88’s giant dog portraits have become one of our best sellers and we can see why! 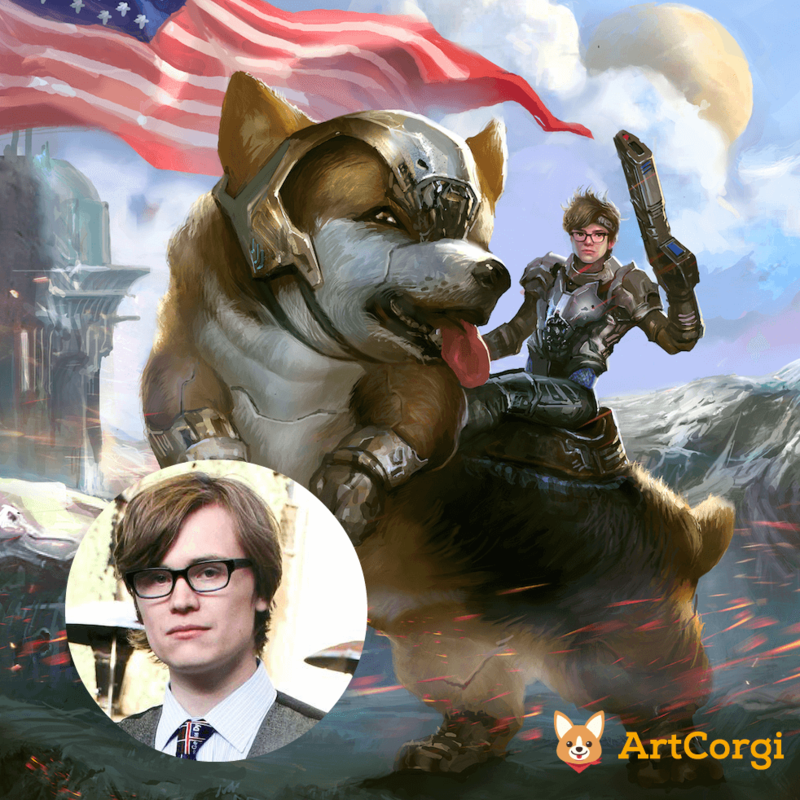 ArtCorgi’s directors Malcolm and Simone both got their own renditions of themselves riding giant corgis into battle and many people have followed in their footsteps ever since! 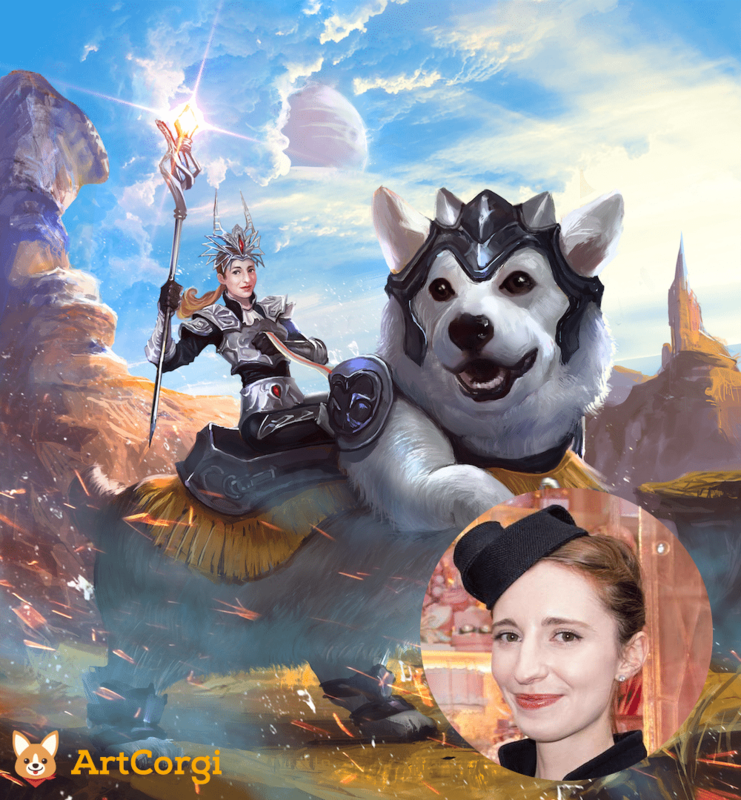 Can you imagine looking at a portrait of yourself riding a giant version of your dog into battle before you start your day? The massive confidence boost it’ll give you will make you crush your goals and achieve everything you never thought you could! Holy pug, sign me up! Over to you! Which style would you choose for your own custom dog portrait? 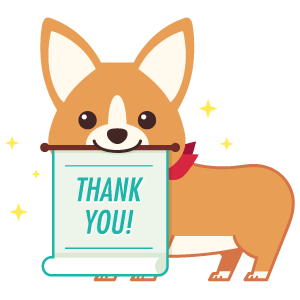 Hope you enjoyed our collection of the best dog portraits and dog portrait artists in ArtCorgi! We think your pup deserves the best and a portrait featuring him/her would be an amazing gift to you both! Our artists will do their best to capture the essence of your best friend (and good boy!) so that you can proudly showcase your portrait to everyone who visits your house or is a nudge away from a “hey look what a cool portrait I got done for my doggo!”. 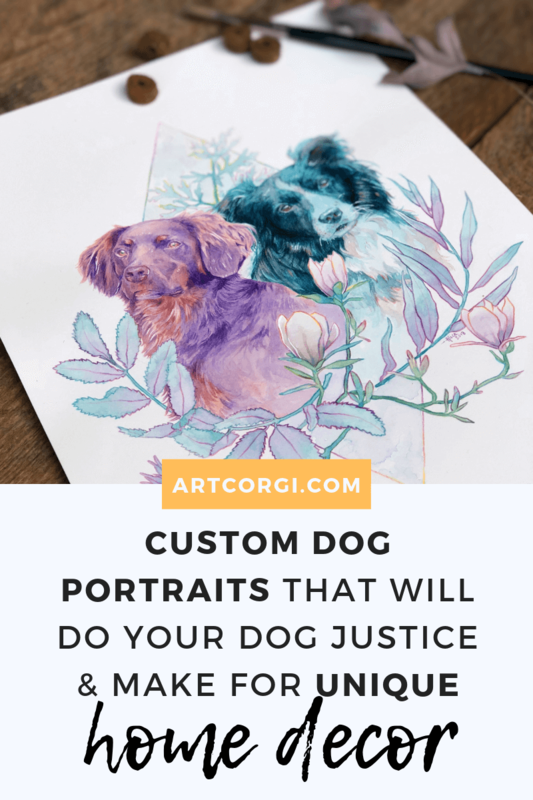 Let’s get your dog a portrait that makes him/her justice! 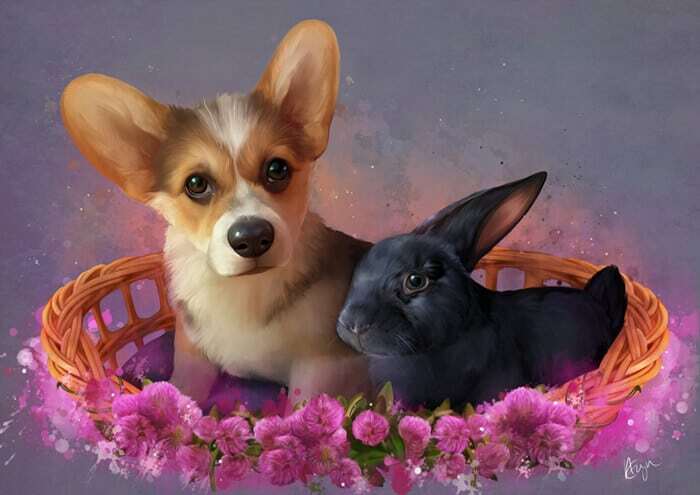 This entry was posted in Art Commentary and tagged art commissions, commissions, custom art, dog portrait artists, dog portraits.